Next time someone offers you a glass of wine, refuse unless its presented from a carafe as incredibly attractive as this. 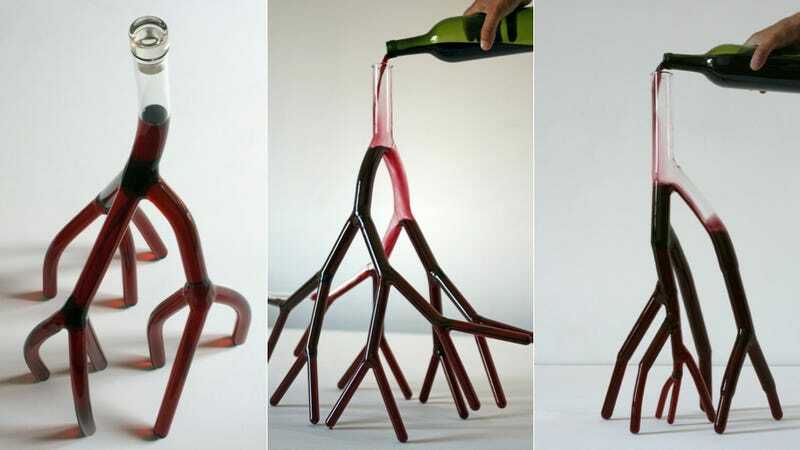 All example of "bio-tableware" by sculptor Etienne Meneau, these beautiful, branched structures are artistic takes on wine carafes. Mimicking the blood supply networks and airways in our bodies, they're each capable of holding a full bottle of wine—even if they don't look like they could.